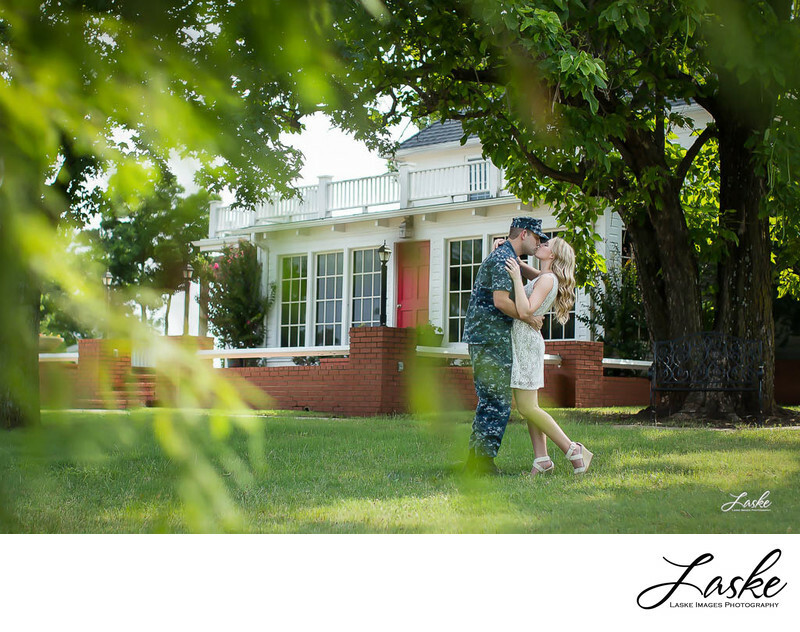 Military soldier holds his blonde fiance close as he kisses her. Outdoor session under the trees. 1/2000; f/2.2; ISO 200; 50.0 mm.